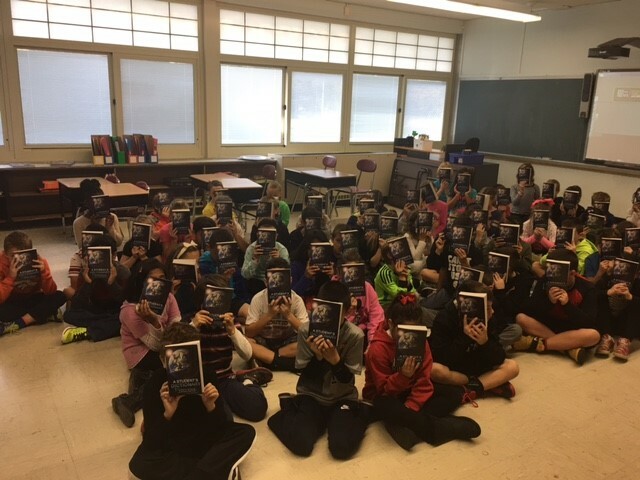 On October 25th, Komal Choudhry, Lynn Swain, and Catherine Wolverton (also the Cedar Grove Library Director) of the Rotary Club of Cedar Grove distributed 69 dictionaries to 3rd graders at South End School. Thank you to Principal Dimatteo and the teachers because without their cooperation and support the Club could not continue this project. As usual, the distribution of the dictionaries was met with great enthusiasm and appreciation by the students. A compelling reason to continue this project. On the same day, Joe Vallone of the Rotary Club of Cedar Grove distributed 30 dictionaries to 3rd graders at St Catherine’s. The Dictionary Project existed only in South Carolina, until Bob Pityo started the project in New Jersey in 2000. To date, all 50 states have distributed dictionaries to over 11 million 3rd graders. The Rotary Club of Cedar Grove has distributed more than 3,000 dictionaries since 2000.